Why are interviews better than exams? Exams are set in stone, in that you cannot change the questions if you do not know the answer. But you can mould the interviews in your direction by being assertive and charming. Some selection processes do not rely on the interview round very much, but as you are aware, the interview round of RBI Grade B carries a maximum of 50 marks while the exam is of 300 marks. This means that the interview has a Weightage of 14.28% in the overall scheme of things and should be given due importance. Interview tips for RBI Grade B Officer with more focus on “DR (General)” are mentioned below. The interview is an assessment of the overall personality of the candidate. It is important to have knowledge and information about various topics discussed in the interview, but it is far more important to have the correct attitude. 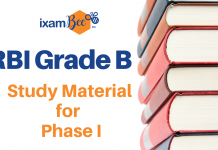 Since you have already cleared two phases of written exam therefore it is fair to assume that you have decent knowledge about most of the topics that may be asked in the interview. Hence, this is the time you need to learn the ‘art’ of acing interview by practicing under the guidance and supervision of those who are more experienced. What are your 3 biggest achievements? What are your 3 biggest failures? Preparation of this part requires thinking about yourself and jotting down important points. Over few weeks you will find out what are the best answers that reflect the best about you. Remember that for most of these questions there is no ‘right’ or ‘wrong’ answers. You shall avoid taking any extreme positions. However, at the same time your replies shall be genuine. You shall not try faking to pose something you are not. Your confidence and the manner of replies are much more important. Why do you want to join RBI? In next 5-10 years what kind of career you expect while working with RBI? What is the most difficult function for RBI to manage? 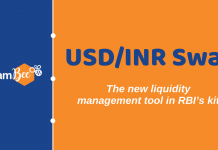 What is the difference between ‘supervision’ and ‘regulation’ function of RBI? Why payment and settlement system is under RBI’s regulation? In addition to this you shall have an overview of the banking industry. The syllabus covered in the preparation for the Phase 2 exam is enough to understand banking industry, however for the interview your focus shall be on the discussion points. RBI website (www.rbi.org.in) is the best and most authentic source of information about RBI. The website mentions about the organisation structure, departments, and important functions of India’s central bank. You shall read important publications (available on the RBI website) such as Annual Report, Trend & Progress in Banking, speeches of governors, deputy governors and others. Why you shall be selected as RBI Grade B officer? Watch https://www.youtube.com/watch?v=l0yfYtf3fdk&t=9s, to know more about Pay, perks promotions and career prospects of RBI Grade B Officer. Prepare your answers to explain how your education and work experience can contribute to the work at RBI. What kind of technical questions are expected in the RBI Grade B interview? Read newspaper daily and pay special attention to news related to economy, banking, rural-finance, social issues, central banking, risk management and others. Read newspaper editorials (The Hindu, Business Standard, Economic Times, Financial Express, Mint, etc. or others). You may find editorials of last six months useful for the exam. You may easily find these online. Read Publications like Kurukshetra, Yojna, Economic Survey, Economic and Political Weekly, etc. RBI website provides lot of information to answer technical questions . 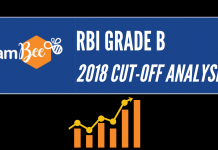 What are the current topics to study for the RBI Grade B interview? Why India ranked so low in Human Development Index? What should bedone to improve India’s ranking in Human Development Index? What kind of planet we will leave for Posterity? Can renewable energy sources mitigate climate change? Has Demonetisation succeeded in curbing Black money? How to create more employment opportunities in India? How can India leverage demographic dividend? Technology changing the payment landscape? How to dress for RBI Grade B Interview? The expression “A tailor makes the man” still holds true today. Put yourself in the shoes of the interview panel and imagine a candidate turning up in formal and graceful clothes versus one who turns up in casual and loose fitting clothes. Dressing appropriately is very important for the interview. You will get only one chance to make the first impression in front of the interview panel and you would not want to ruin that. Formal, light coloured, full sleeves, plain shirt. Dark coloured trousers. Back coloured formal shoes and socks matching the colour to trousers. Black coloured formal style belt with a decent buckle. Use tie and coat/blazer if you are comfortable with it, dress to impress. Wear a formal tie only. A big no to jeans or casual pants. Never wear white coloured socks with dark coloured trousers. Do not wear brown shoes, casual shoes, sport shoes, trekking shoes for the interview. Indian saree, in plain colours that gives a formal look. The colour and pattern shall be sober and better if it is a cotton saree. Indian Kurta-pyjama also known as Indian suit. Keep the colour and pattern simple and sober that is fit for a formal occasion. Formal business suit is also perfectly fine if you are comfortable with that. Among the two, saree may be the better option as you look more mature and gracious (like an officer), but if you are not comfortable in wearing a saree, wear Kurta-salwar or western suit whatever you like. Wear very light jewellery (or no jewellery) matching your dress. Don’t wear very bright and colourful dresses, having flowery patterns. Do not wear dresses having lot of embroidery with shining and metal objects in it. Do not wear heavy jewellery. The lesser the better. Simple bangles and ear-rings may be fine but you may be good without anything, depending on what you personally prefer. Do not wear heavy make-up. The simpler you look, the more sincere you appear for the interview. Do not wear very high-heel sandals, especially those that make sound while walking on a tiled floor. The fundamental rule about dressing(both for men and women) is that the dress should be comfortable and impressive. You should be able to carry yourself confidently in the dress. What if I do not know answer to any question? Interviewers are not looking for human encyclopaedias to join their team. What an interviewer looks for is a sincere and humble candidate with a growth mindset and keen to learning new skills. If you do not know the answer to a particular question, do not try to bluff your way out of it. Rather, a simple and courteous “Sorry Sir/Madam, I do not know the answer to the question” will suffice. Reach the venue a minimum of 30 minutes before time, so that you get time to relax and may get opportunity to acquaint yourself with others. Sometimes in the casual conversation you get to know what is happening inside the interview room that makes you more prepared. Listen to the question carefully before you reply. Do not bluff if you do not know the answer. Do not be very informal with the board. You should carry a smile and humour but your conduct should be sincere as it’s a formal interview. Do not overstress or over think. Do not feel nervous if you do not know answer to any question. You are not an encyclopaedia and interview is for assessment of your personality. Why do you want to work with RBI? How will your work experience (educational background) be helpful in working with RBI? What do you know about RBI and how is it different from other central banks? Have you prepared for UPSC (Civil Services), what are your career goals? How should India deal with the problem of growing unemployment when still a large number of people are depending on agriculture sector? What are the major challenges faced by banks in India? What are the important financial institutions? What are the major challenges of financial inclusion in India? 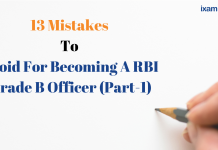 Why have you decided to become a RBI Grade B officer? What would you like me to know about you that is not on your resume? If you have to define yourself in 3 words, what will be those three words? What do you know about a career in this industry? What are the attributes of an ideal job for you? Is a job in RBI the ideal one for you? Whom do you admire? Why? Define leadership. What type of leadership traits do you have? What are your strengths/ weakness? In what kind of work environment do you do your best work? What kinds of tasks and responsibilities motivate you the most? Why did you decide to do a B.Sc. / B.Com. / B.A. (Whichever is applicable to you)? Which is your favourite subject? Why? What do you feel about your academic performance? What subject did you like the least? Why? What extra-curricular school activities are you involved in? What have you learned from your activities? What is your favourite book/movie/song/painting or author/actor/singer/artist? Which magazines/newspapers do you read regularly? Which books have you read recently? What do you predict is going to happen in this industry in the next 5 years? What interests you most about this position? What parts of the job do you think you would find the least satisfying? 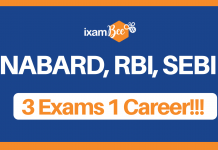 NABARD, RBI, SEBI : 3 Exams 1 Career!! !